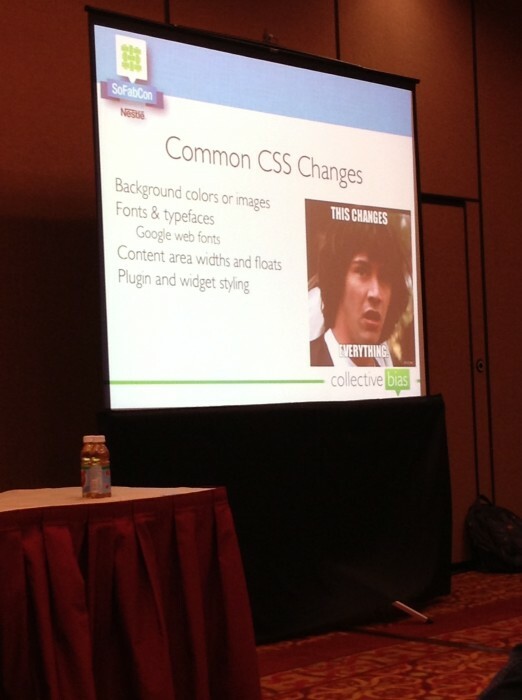 Learning all about WordPress, HTML and Twitter at #SoFabCon! 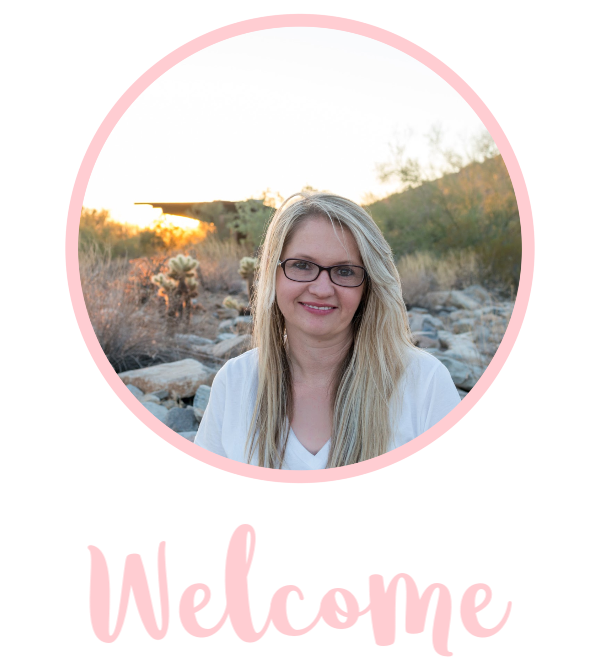 I’ve been on WordPress for over a year now and I’m really embarrassed to say I am still a beginner. I know some HTML (I used to help develop eBay pages when it first started which was eons ago). I was excited to here the all mighty tech Gurus Jay Thornton, VP of Technology and Chris Whittle, Director of Technology at Collective Bias (yep, they know their stuff) talk about WordPress at So Fab Con. I was expecting to be overwhelmed but they did a great job at breaking down the basics of how to use the more technical side of WordPress. It allows you to change things live time like color and style changes in your blog, but you aren’t really changing it! You are just doing a preview. You will need to know some basics about HTML but that’s nothing a little Googling can’t help you find. I bookmark helpful items like HTML Color Codes. Utilize Google Webfonts when choosing your fonts, over 5000 free fonts http://www.google.com/fonts/! Where has that information been all my blogging life?! Don’t refresh, you’ll lose it all! Add the HTML to your CSS editor plugin before leaving the page. It’s important to keep WordPress up to date, the reason is that the longer the platform is available, the more chances there are for people to develop security breaches. I’m horrible about updating but will make it a point to do it from now on! The more plug ins you install, the more you are at risk for a security breach. When you install plugins, do your research. when was it updated, what are the ratings etc. Back up your blog, especially before changes. Don’t ever use “admin” in your WordPress user name, this is commonly used and makes it easier to “hack” into blog posts. While I am no expert just yet, at least I know some key things to work on and Google to continue to make my blog look awesome! 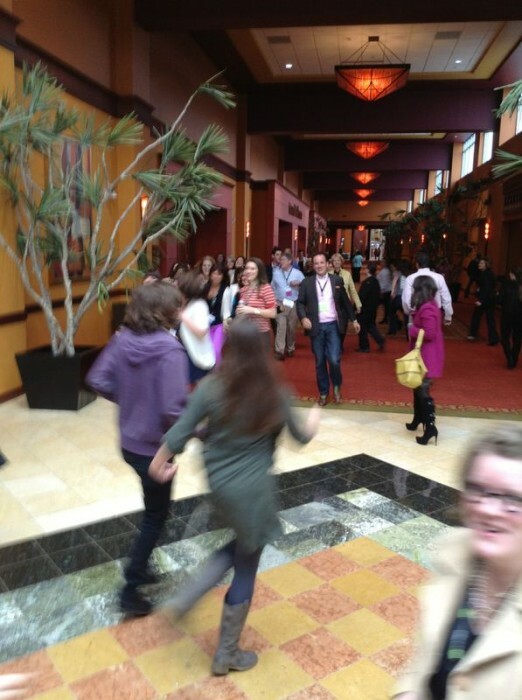 Skipping around with our #SoFabCon Peeps thanks to the encouragement from Ted Rubin! Along with learning about WordPress, I learned a lot more about Twitter. I went to Ted Rubin and Sandy Jenney’s session called “Twitter…Not Just a Place to Tweet”. I will back track a little here and say one thing I took away from So Fab was the importance of Twitter. I used to look at it like another Social Media outlet but it’s so much more than that. It’s a constant river of interaction, knowledge and engagement. It’s a place to continuously connect with brands, friends and fans! What doesn’t work for social media? Not being social! Continue to engage with your audience. What’s important in Social Media? Connecting with people and building relationships. 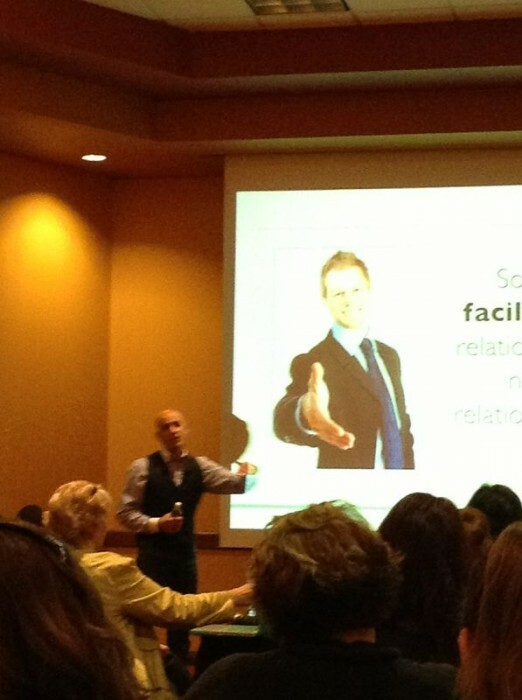 Continuous engagement with your audience is key. Make it all about your your customers, fans etc. As consumers, we want people to listen and we just want to be heard. Ask your audience, “How can I serve you”? Don’t unfollow people, they still listen and follow everyone back who follows you. Great way to build a following and an audience. How to rock at Social Media ? Know the people in your audience, do your research. Think like a child and change your creative mindset to one that works. Reach out to your audience. Listen and call people by their name. Work to make a connection with people, not just a network. I know after hearing more about the importance or Twitter, I will work harder to engage on this platform not only as a blogger but as a brand. One thing Ted Rubin also mentioned is keep it kind, even if you aren’t happy with a store, brand etc you can still express your displeasure with them professionally. I couldn’t agree more! Speaking of Twitter, I got to experience a live time Twitter Party with #IDIcedCoffee and my favorite gals Lindsey Hodous and Lauren Blass from Collective Bias, hosted by Rebecca Parsons of http://www.cre8tivecompass.com/mag/. 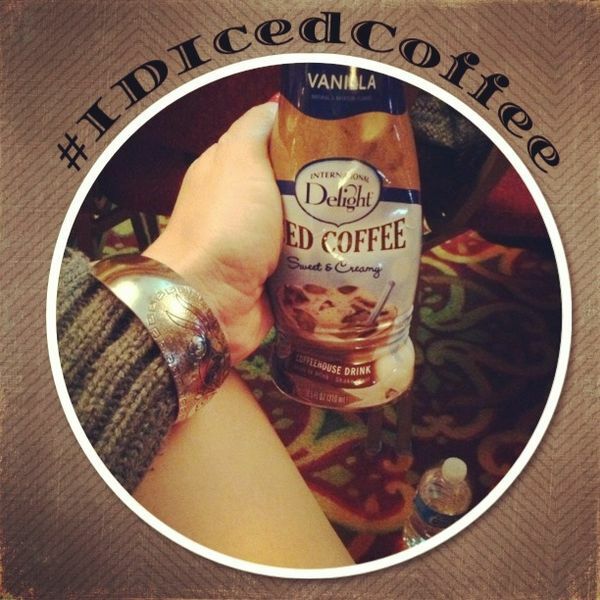 It was a lot of fun seeing how a Twitter Party works in real life and we got to enjoy some delicious iced coffee. I in fact had a little more than a few of those delicious iced coffees by International Delight during that hour!